I love this free spirited couple. 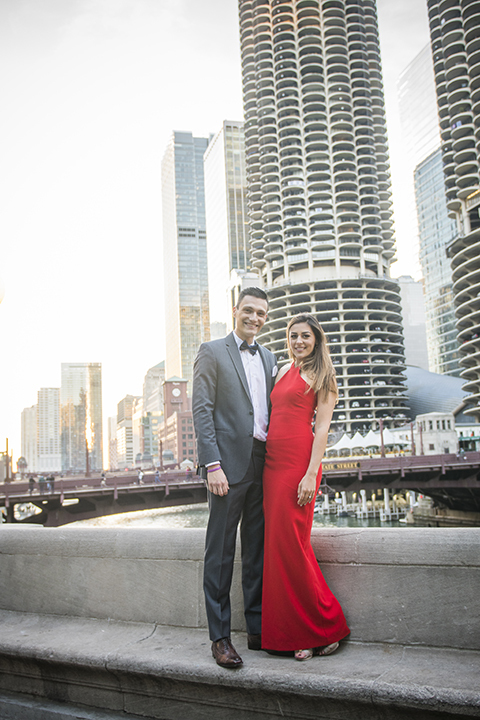 When they said they wanted formal engagement pictures in a city I thought wouldn't it be great if they could come to Chicago when I'm there for a wedding? I guess I thought it out loud because they loved the idea and ended up meeting me there. 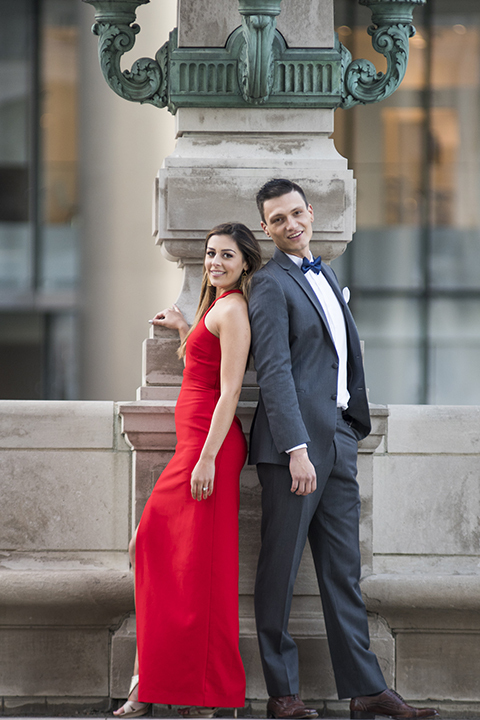 They looked amazing in Lauren's drop dead red dress from Rent the Runway and Dario's Michael Kors tuxedo by Friar Tux. 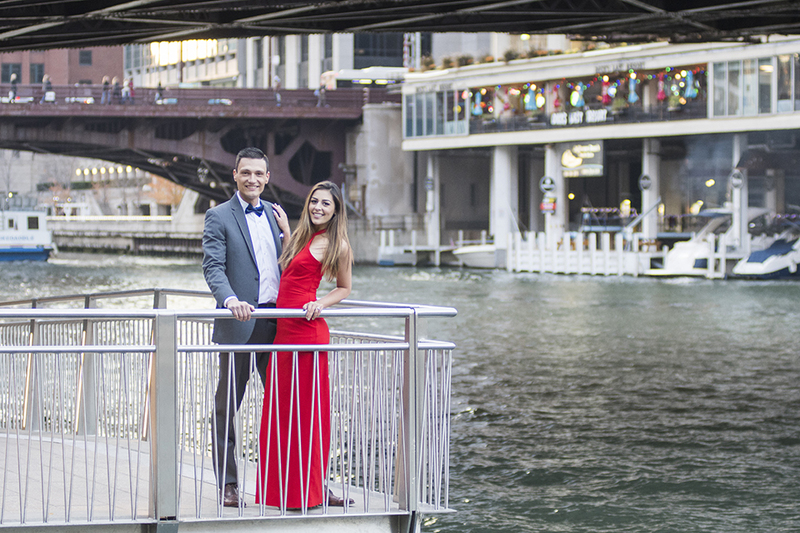 We ended up shooting at the London House rooftop bar and on Chicago's river walk. We even ended up in front of Trump Tower and got to see the protest first hand. It was wonderful for me to be able to shoot in my home town and as an artist it was freeing to get some creatively different images. Can't wait to see what they come up with for their wedding at Bella Gardens Estates next year.